Katharina Theobald enjoys a good puzzle. Data-driven and focused, she dissects the interconnections of a problem to uncover the solution that’s lurking just beneath the surface, regardless of how complex a challenge may be. She inspires the teams around her to dream bigger and persevere. A seasoned consultant in the emerging technology arena, Katharina’s experience includes engagements at leading financial and international development institutions, where she defined the strategic vision and success metrics for disruptive blockchain initiatives and spearheaded a project that reimagined processes and support for nearly 200 third-party banking applications. 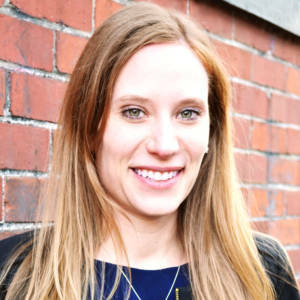 Katharina holds a bachelor’s degree in business administration and finance from George Washington University.